Andy had called me up the day before and told me his plan. 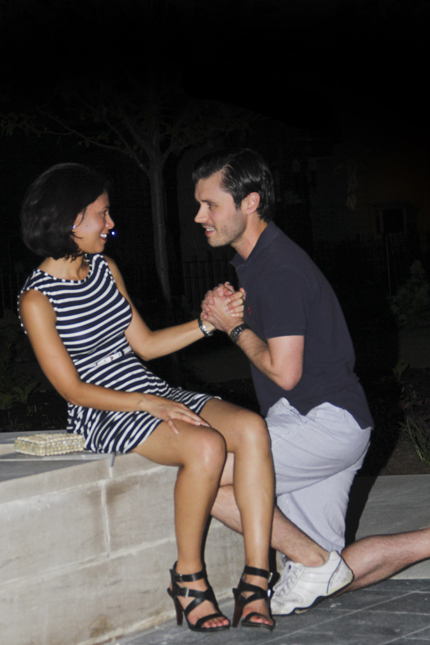 In the heart of the historic city neighborhood, on the eve of the renovated Washington Park's opening, he would get down on one knee and propose to his girlfriend Janice. I brought Ryan Texas Ranger along with me to stand in as "Andy" for some test shots and to scout the area. Security still had the park blocked off as it wouldn't officially be open until the next morning. Under renovation for about a year and a half, the park will reopen as an energized civic center for the neighborhood and community. 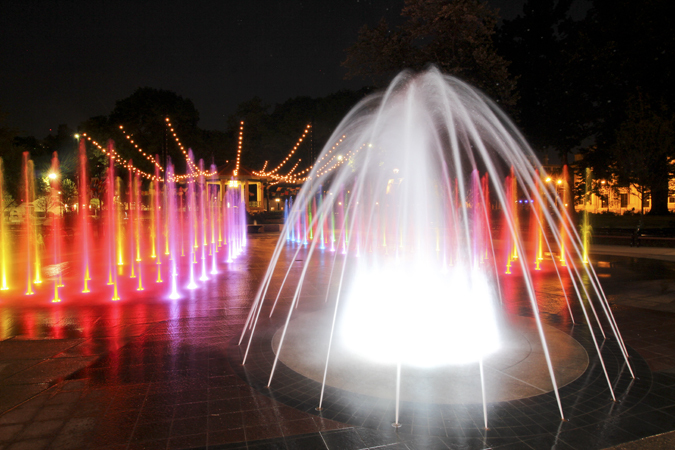 One of its key features is the musical fountains that synch up to the songs coming over the speakers. 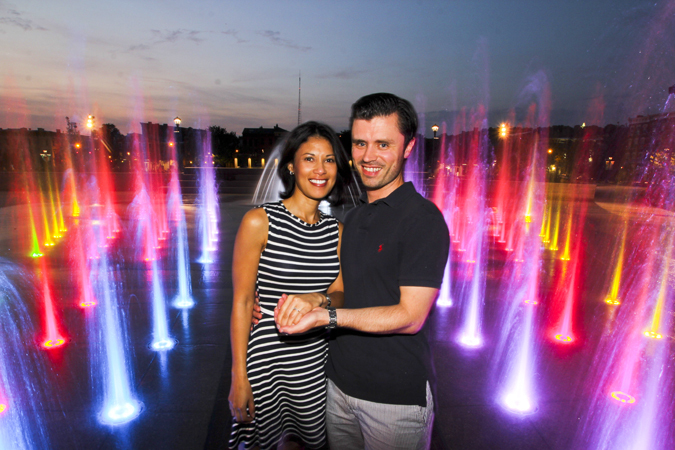 The fountain's program was created by Scott Palamar, who we met as he showed us the songs Andy had picked out for the proposal: "Can't Help Falling in Love" by Elvis Presley and "Shosholoza," a South African folk song. 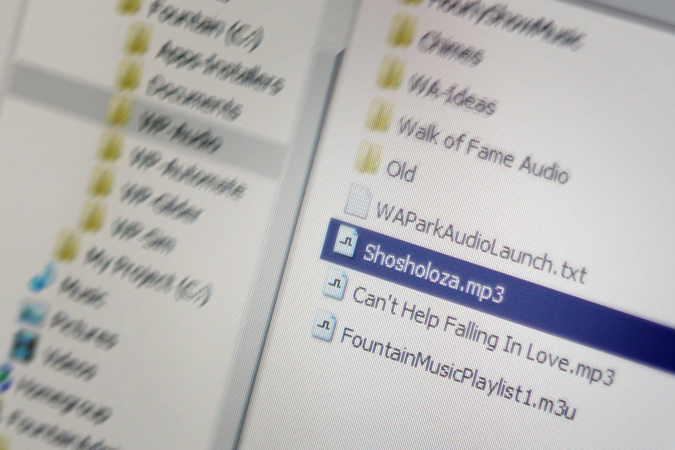 - Andy's chosen songs on the park's fountain control computer. 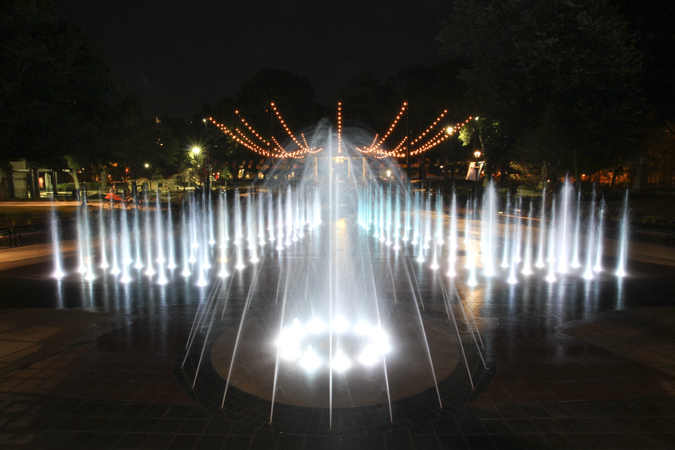 The park's fountains synch up to the beat of any song playing through the park's speakers. 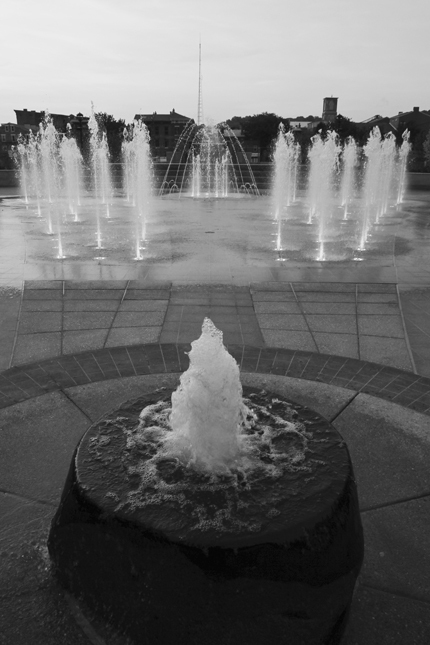 We took in the sights of the new park as we waited for Andy and Janice to arrive, pretending to photograph the fountains as they took a seat on a nearby bench. 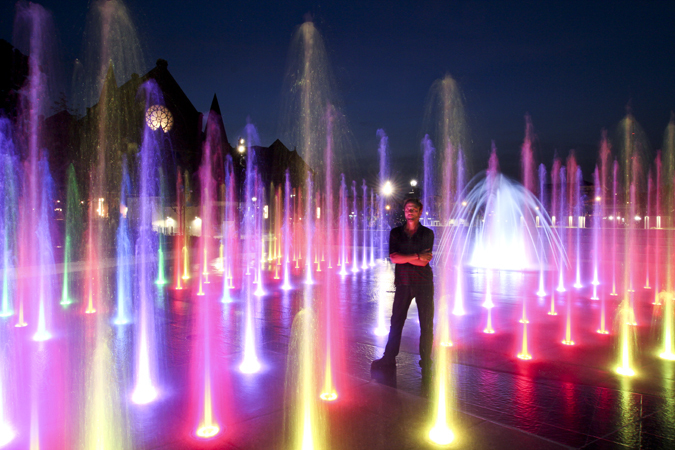 Scott queued up the music and the fountains. 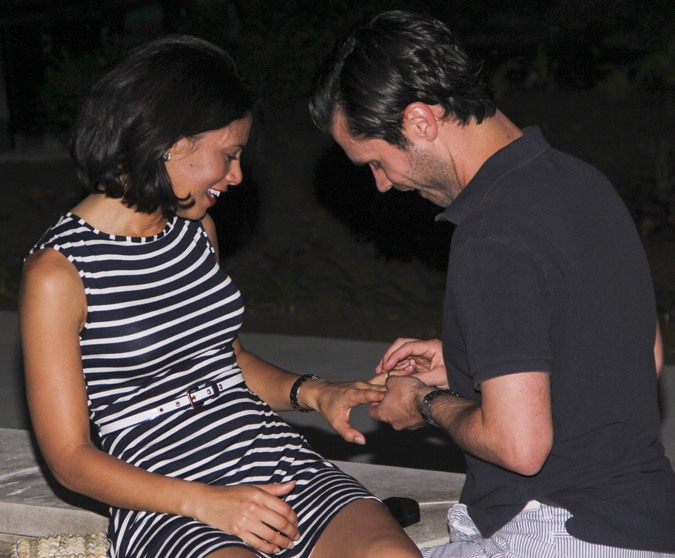 Andy dropped to one knee while the fountains splashed to the iconic Elvis song. - Scott Palamar standing amongst his creation. 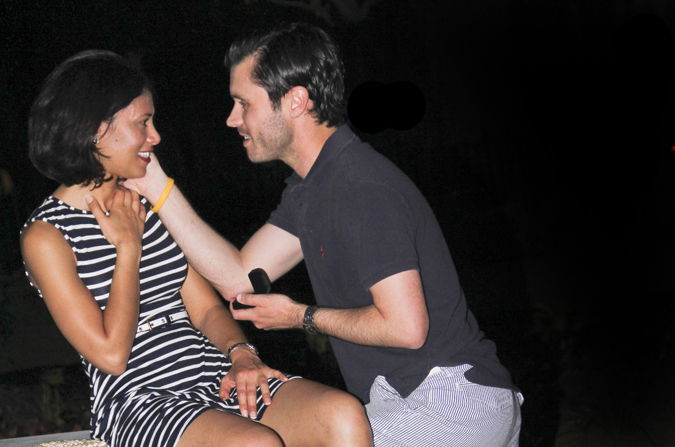 Congratulations to Andy and Janice! 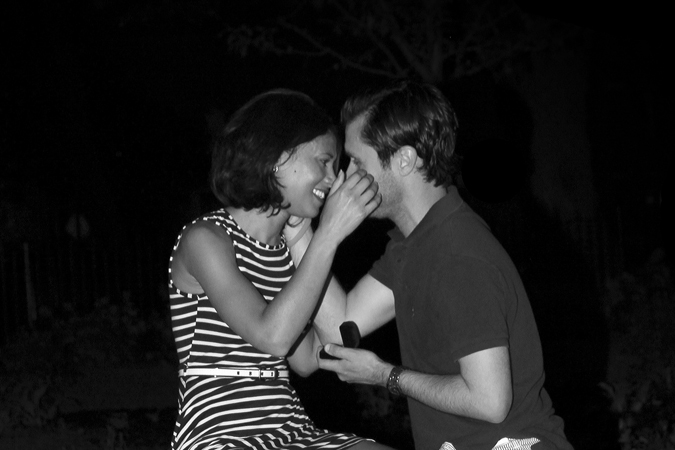 I don't always like to photograph weddings, engagements and things of that nature, but this was truly a very special moment to be a part of. I couldn't stop smiling for these guys when I was snapping the shutter. And if you get the chance to check out the new Washington Park when it officially reopens today, do it! It's absolutely stunning and a great symbol of the change and revitalization not just in Over-The-Rhine, but Cincinnati as a whole! 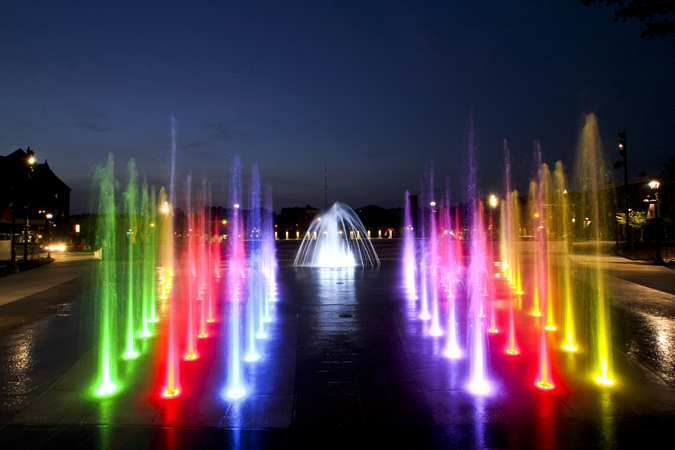 Those fountains look absolutely amazing.